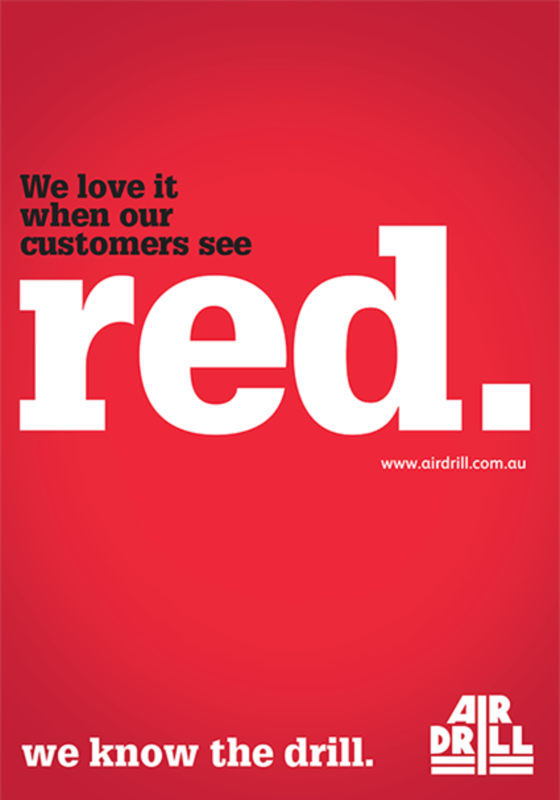 Airdrill is a Western Australian owned and operated business that provides comprehensive manufacture, sales, service and technical backup of drilling equipment used in all facets of mining, civil and exploration. 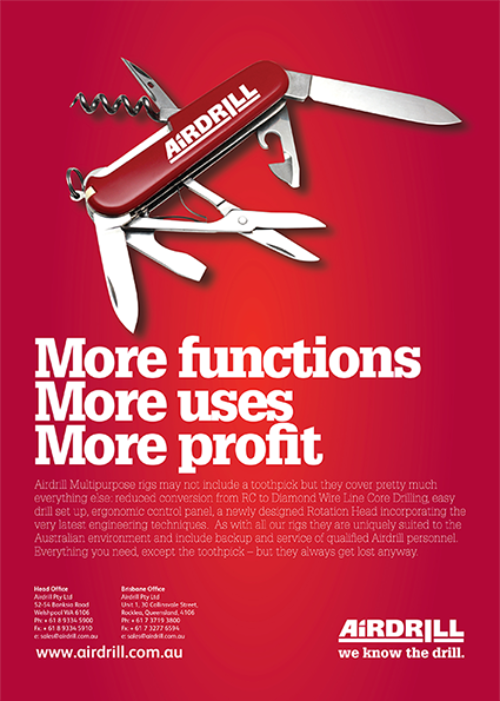 Indepth and Airdrill have been working closely together for three years now. During this time we have assisted in Airdrill’s growth by increasing their exposure to the mining industry. We started off by re-branding their 40-year-old logo and updating their branding with a new tagline; “We Know the Drill”. This tagline is used over their marketing materials, helping to highlight the company’s area of expertise and improving customer retention and brand recall. 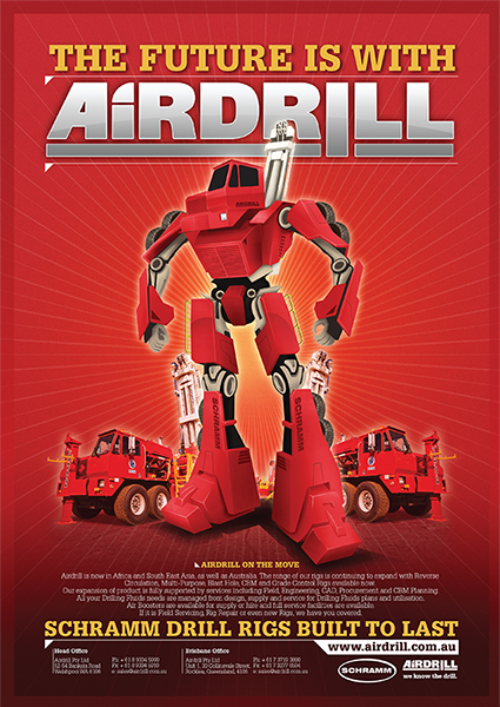 To date, we have completed a vast array of projects for Airdrill, including presentation folders, product brochures, conference booths, corporate videos, and editorial and advertising campaigns.